Obituary for Roger S Telford | Crandall Funeral Home Inc.
Roger S. Telford passed away on Sunday, January 27, 2019, surrounded by friends and family. Roger lived 86 incredible years as a hard-working cowboy, managing the Telford cattle ranch, serving in the military, providing for his beloved wife and children, being a friend to everyone he met, and watching his family grow to include 10 grandchildren and 18 (and growing) great grandchildren. Roger was born on November 21, 1932 to Abraham Owen Telford and Lila Sprouse Telford in Randolph, Utah. Roger attended South Rich High School where he participated in basketball and boxing. He loved to play basketball and made many friends participating in sports. His love for basketball lasted a lifetime, he could often be found watching or listening to a Jazz game. After graduating from South Rich High School, he married his sweetheart, Darlene June Kennedy on March 2, 1953 in the Salt Lake Temple. They were married for nearly 66 years. After their marriage, Roger accepted a draft call into the United States Army during the Korean War and was stationed primarily at Fort Lewis, Washington. He served in the 38th “Rock of the Marne” Infantry Regiment, Company I. Darlene joined him in Washington, where their first child, Debra was born. After his time in the Army, they moved back to Randolph where their family grew to include Hank, Brenda, and Lane. Roger served as mayor of Randolph City from 1965-1968 and again from 1982-1986. He was a faithful member of the Church of Jesus Christ of Latter-day Saints. He was a proud member of the Randolph VFW and served on the Bear Lake Regional Commission. His family loved to see Roger proudly bear the Stars and Stripes on horseback in the Rich County Fair and Rodeo parade and the Woodruff Independence Day parade for many years. Dad loved the ranch and enjoyed making many improvements over the years. He raised Angus cattle and Quarter horses. 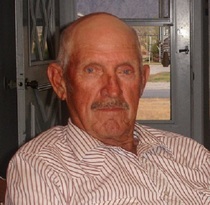 He loved racing Quarter Horses and raised and raced many good horses over the years. He was a lifetime member of the American Quarter Horse Association. Dad was a master horseman and grew up using horses to put up the hay. He and his sister, Dorothy, rode horses from the ranch to school and back. In his younger years, he loved to rodeo, primarily riding saddle bronc. He participated in cutter and chariot racing and was part of the old Bear River Cutter Association in the Randolph Area. He was friendly to all he met. His family loved him dearly and will always remember him as the dedicated son, brother, husband, father, uncle, grandfather, great grandfather, friend, and cowboy that they knew. Roger is survived by his wife, Darlene, daughter, Debra (Les), son, Hank (Bonnie), daughter, Brenda, brother, Thane (Lillian), brother, Laurel (Elena), 10 grandchildren, and 18 great grandchildren. Roger is preceded in death by his parents, Owen and Lila, his son, Lane, and his sister, Dorothy Flitton. Services to celebrate Roger’s life will be held at 12:00 pm on Friday, February 1st, at the Randolph chapel of The Church of Jesus Christ of Latter-day Saints. A visitation will be held the night before, on January 31st, 5-7:00 pm and before the services on February 1st, 11-12:00 pm. Interment with military honors will follow in the Randolph Cemetery.